This article is 2478 days old. An area of severe thunderstorms over lower Michigan is moving to the southeast at 60 km/h and will reach the Windsor area shortly after 5 AM EDT. 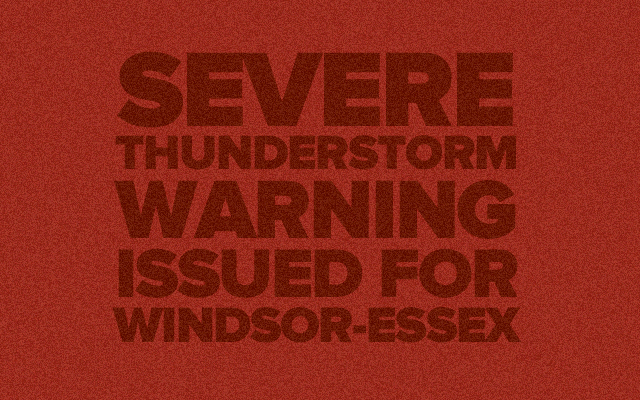 Damaging wind gusts to 100 km/h are expected with these thunderstorms, with large hail also possible. Severe thunderstorms are imminent or occurring in the area. These storms may produce large hail, damaging winds or heavy rainfall. Remember that some severe thunderstorms can also produce tornadoes.